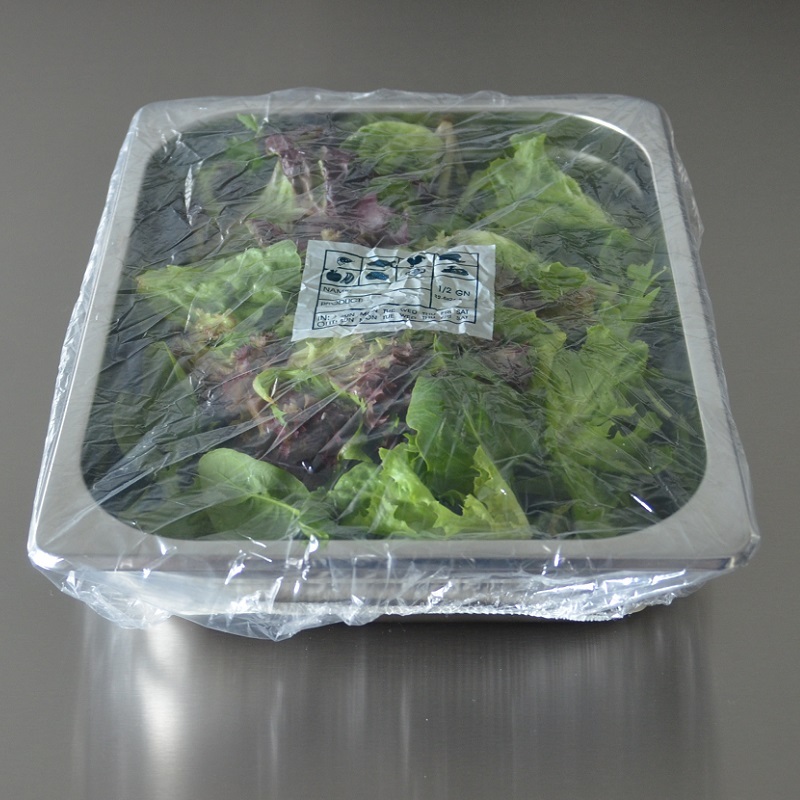 Biodegradable and disposable, PanCovers will substitute the cling wrap which is used to cover your GN pans. 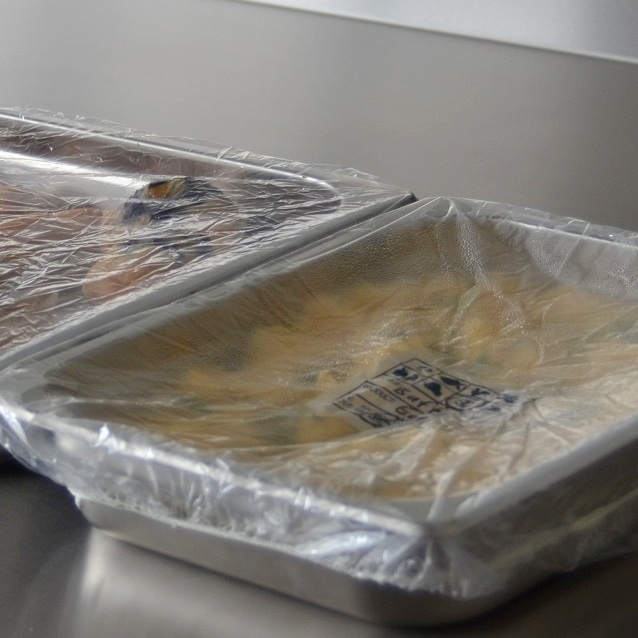 Cling wrap sticks and is difficult to apply and remove, Biodegradable PanCovers make it very easy to protect the contents of your pans. Extra features of our Biodegradable PanCovers are that they have a preprinted label and are translucent for easy content identification. 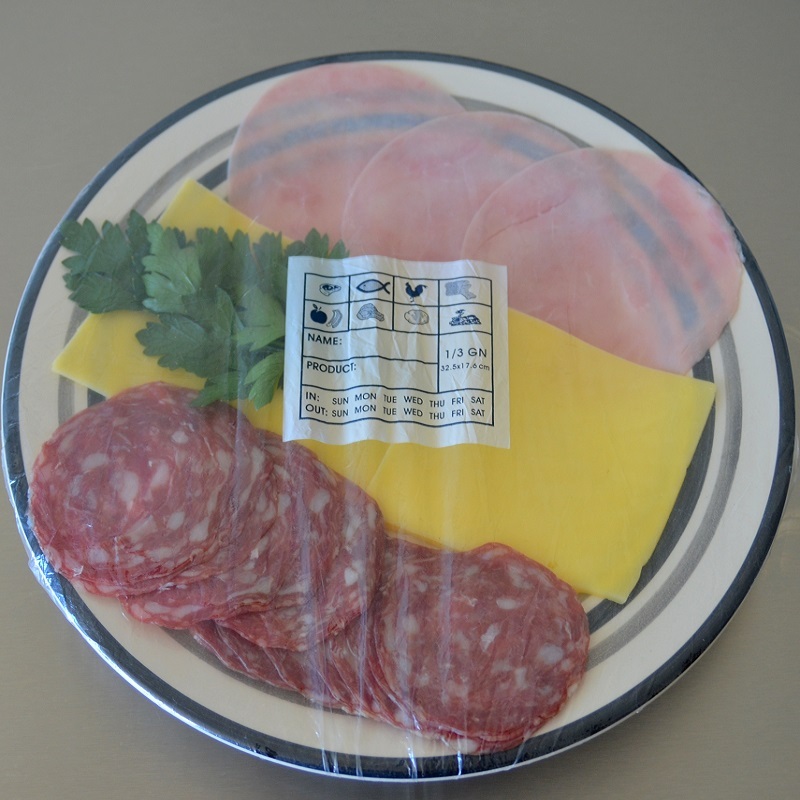 You will not only save on label costs, your label remnants will no longer stick to your GN pans. 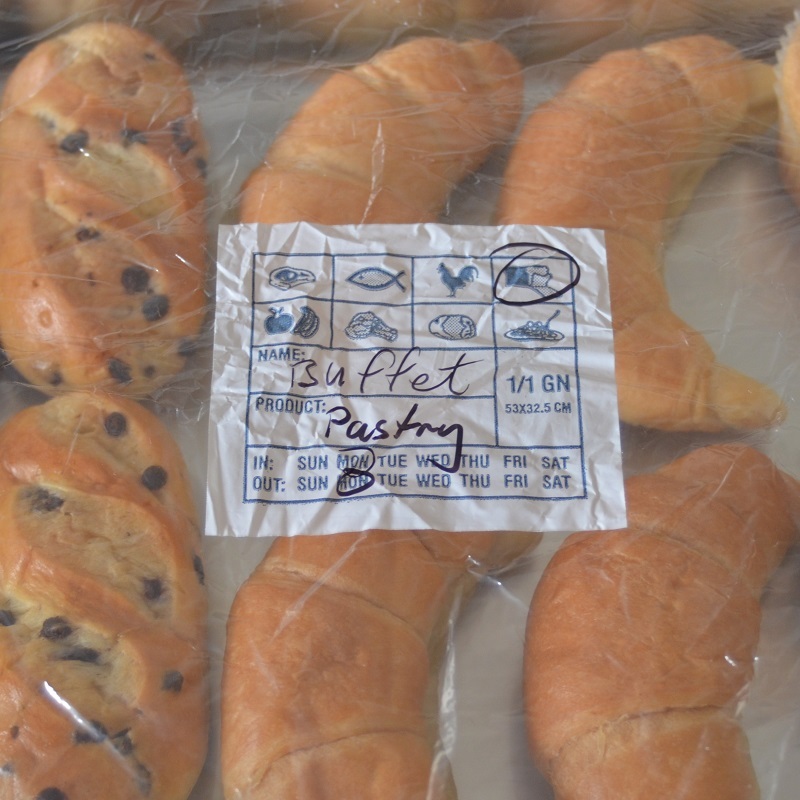 These covers are ideal for covering buffets (before opening), storing food in the cold room or transporting food from A to B.
Pac Food’s Biodegradable PanCovers are available in 2 sizes, for full pan and half pan. Also, thinking of our environment, our PanCovers are biodegradable. By using oxo degradable techniques, we have been able to create these covers with biodegradable resins. The covers will disintegrate after a certain amount of time, under the influence of humidity, heat and sunlight. Keeping them in a dry, cool and dark place will give you plenty of shelf life. Label printed on the cover!